In 2018, our politicians have taken us to the brink. Next year, they need to follow the example set by the best in business and focus on delivering. At the same time, Scotland’s smaller firms need to keep their heads up while preparing where they can. We know how high the stakes are, but most of us in business can’t afford to spend hours watching live pictures of the front door of 10 Downing Street. Similarly while the Prime Minister and her colleagues toured the nation and the capitals of the continent, most of us were too busy concentrating on looking after our customers to watch. Although we might not have tuned in to every twist and turn of the Brexit rigmarole, the endless uncertainty has certainly hit business confidence for six. Our members in Scotland now report record low levels of business optimism, while small business owners elsewhere in the UK are similarly downbeat. That’s why next year, once the tinsel is packed up and there’s only toffee pennies left in the Quality Street, we need our MPs to come back to Westminster with the energy to deliver a workable outcome in days, not weeks. 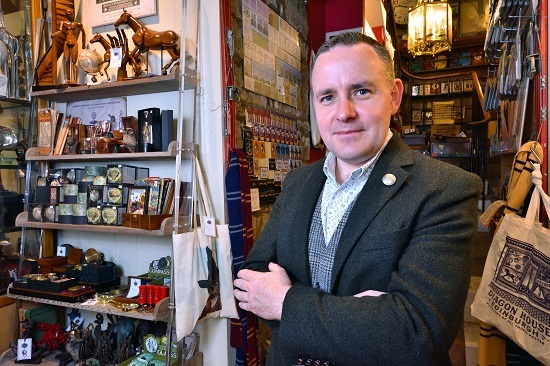 A no-deal, no transition Brexit is the worst possible outcome for Scottish smaller businesses and we need to see our political class stretch every sinew to avoid it. Further I hope that during the welcome break with their loved ones, the Home Secretary and the Prime Minister will reflect on their plans for UK immigration. Their new proposals will particularly hurt Scotland’s communities, businesses and economies and we need to see an urgent rethink. At the same time, even if there is a deal, early 2019 must see Scottish smaller businesses doing what they can to try to prepare for the UK leaving the EU. 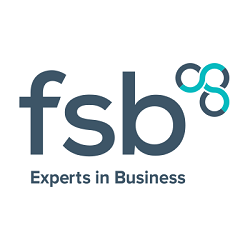 Business decision-makers would be well advised to consult the useful information that FSB has produced for firms, together with helpful advice that Scottish Enterprise has put together. However, we can’t spend the festive period biting our fingernails. If those who are in business do get the chance to take some time off, it’s an opportunity to reflect and plan – celebrating successes and plotting the year ahead. FSB members and non-members alike might take the opportunity to enter (for free) FSB’s Celebrating Small Business awards at fsbawards.co.uk, which conveniently closes just after the Christmas break on 11 January. As if we needed more to consider, there are substantial regulatory reforms (when are there not?) coming down the track at business next year. For example, the Making Tax Digital programme will mean big changes for tens of thousands of Scottish operators, helpfully coming into force just a month after the UK is due to leave the EU. If they’ve not done so already, businesses will need to wrap their heads around these moves before too long. Many in business in Scotland will hope that January marks the end of the political panto that the country has been forced to sit through over the last twelve months. Scotland’s smaller firms can’t take many more theatrics in 2019.